Paul Kreitman’s research interests include environmental history, global history, commodity history, and histories of science and technology. He received his PhD in History from Princeton University in 2015, with a doctoral dissertation entitled “Feathers, Fertilizer and States of Nature: Uses of Albatrosses in the U.S.-Japan Borderlands”. He is currently working on a book manuscript exploring the relationship between resource extraction, nature conservation and state formation in the North Pacific. His second project examines the political ecology of excrement in the Greater Tokyo area, focusing on the slow obsolescence of night soil fertilizer over the course of the twentieth century. Paul received his BA from the University of Oxford in 2006, after which he worked as a carbon offset consultant at Mitsubishi UFJ Securities in Tokyo. 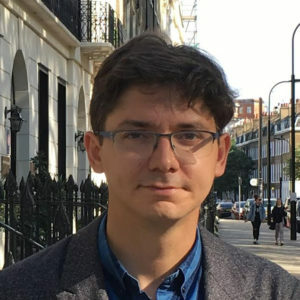 He joins Columbia after a postdoctoral fellowship at the University of London’s Institute of Historical Research, jointly affiliated with SOAS.